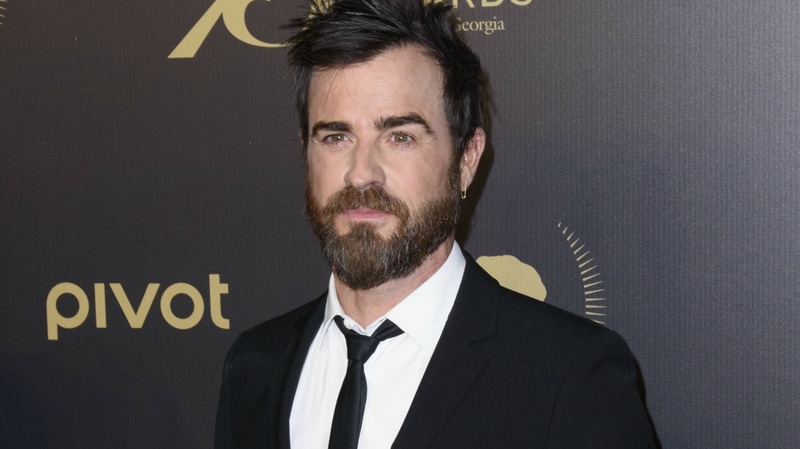 Justin Theroux posted an Instagram pic that seems to not-so-subtly throw some major shade at Brad Pitt, and the internet definitely noticed. More: A timeline of Brangelina’s divorce: Why did Brad Pitt & Angelina Jolie split? Theroux’s photo shows the image of a woman biting her middle finger against a background that hates on a bunch of things in the world with the F-word preceding them all. Politics, haters, the NSA, cocaine and Facebook are all among the targets. Oh, yeah, and Brad Pitt. Since Theroux is married to Jennifer Aniston, Pitt’s ex-wife, the assumption was immediately that this post had deeper meaning. The backlash was so immediate, in fact, that Theroux felt the need to comment. Rather, Theroux said he meant the photo as a comment on his “current election mood,” but he should have known that with his wife’s ex-husband’s name so prominently displayed in the photo that he was going to cause a bit of a stir. Despite the backlash and the internet’s obvious belief that Theroux did actually mean a bit of shade to be thrown, Theroux hasn’t removed the image as of publication of this article. Personally, I think he probably didn’t mean it to have anything to do with Pitt, but the fact that Pitt’s name was listed so prominently should have encouraged Theroux to steer clear of the image whether he meant to throw shade or not. Theroux and Aniston have spent so much time and effort already proving that they don’t care about anything Pitt does that anything linking them is just adding unnecessary fuel to the fire. Do you think Theroux should remove the photo because Pitt’s name is featured so prominently?